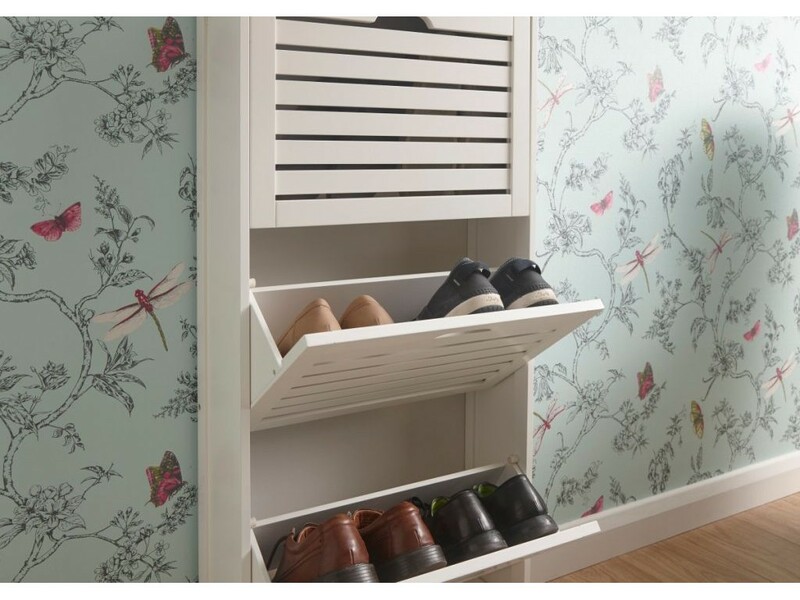 With a slender frame and three pull out tiers, this Bergen Shoe Cabinet is perfect for even small hallways. 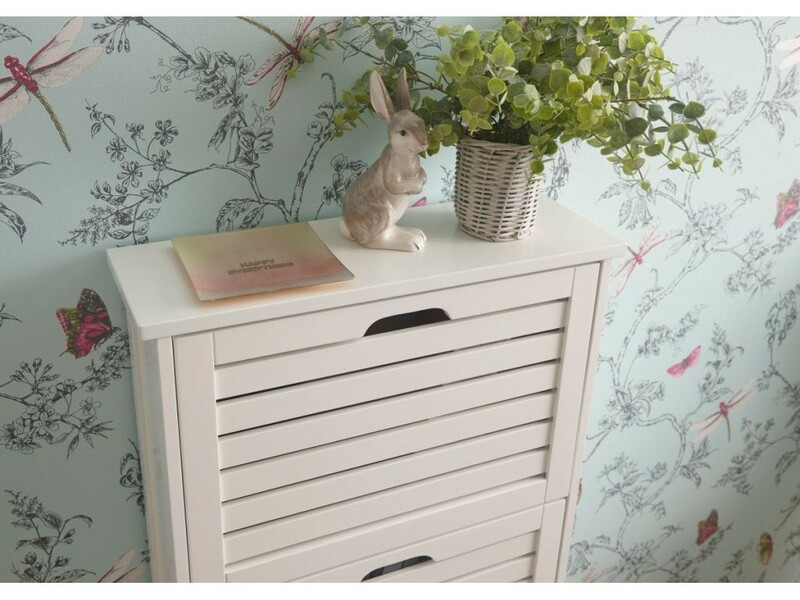 The white paint finish adds elegance and will match any décor theme. 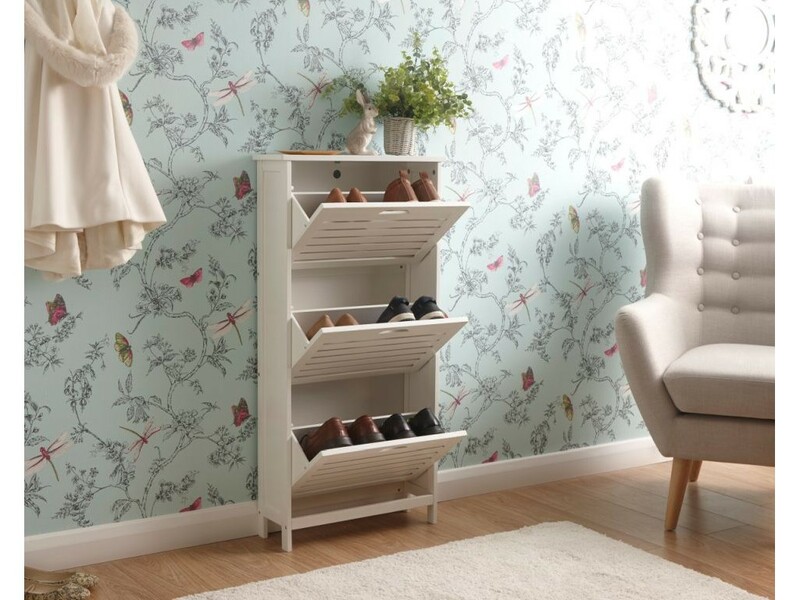 This shoe cabinet will definitely make a statement in any hallway. 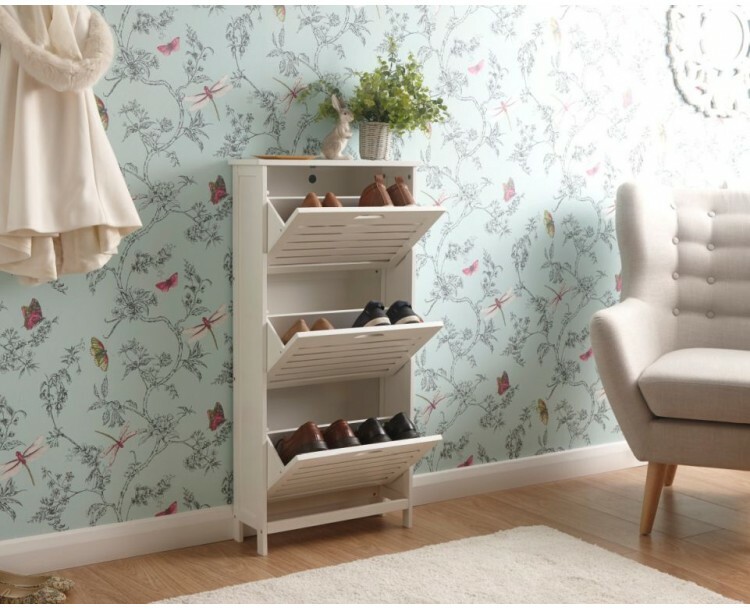 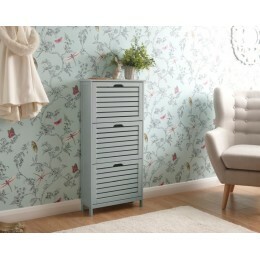 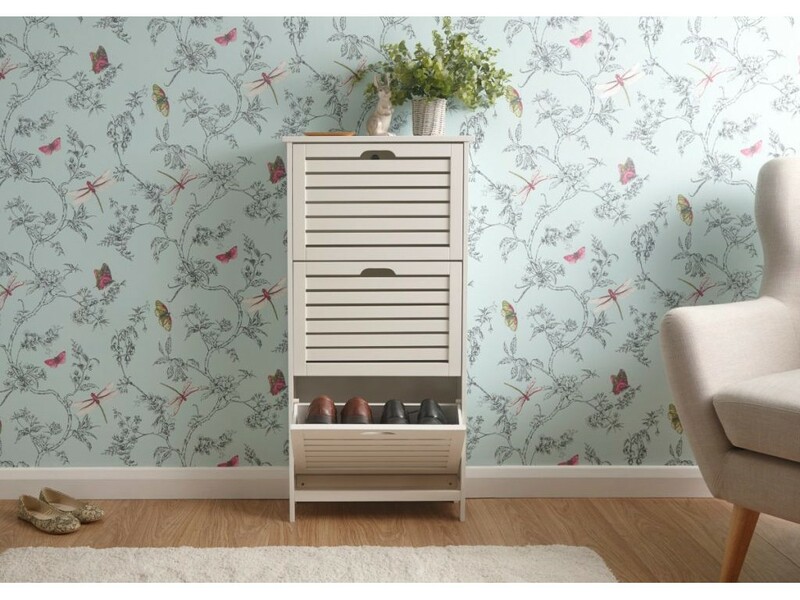 The Scandinavian Bergen Shoe Cabinet truly represents the contemporary style.